This foot stool is composed of four boards cut from one plank of poplar. 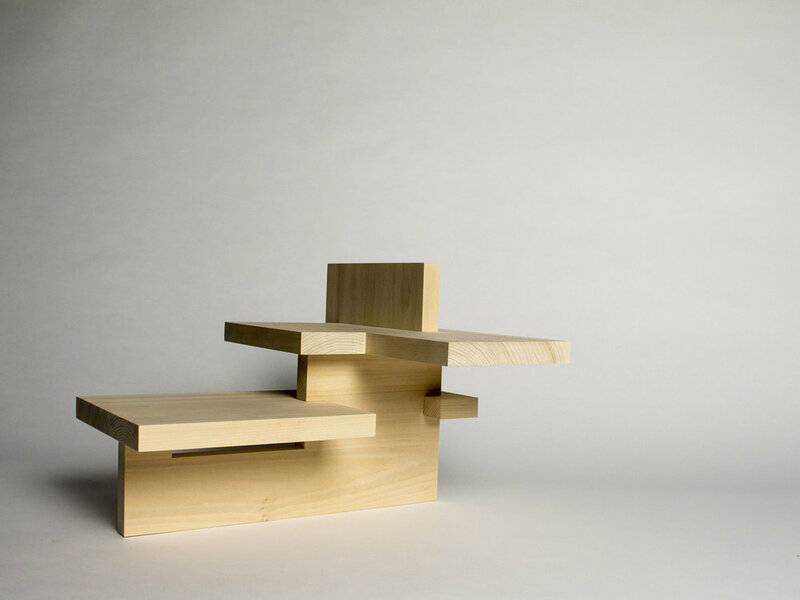 The stool allows the user to move between two resting positions. The design was created and refined using small-scale and full-scale models.